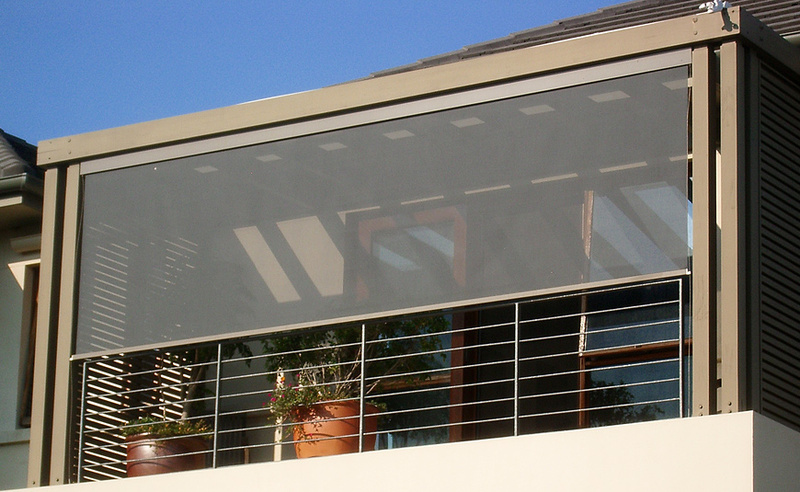 Discover the advantages and benefits of outdoor shades and screens. 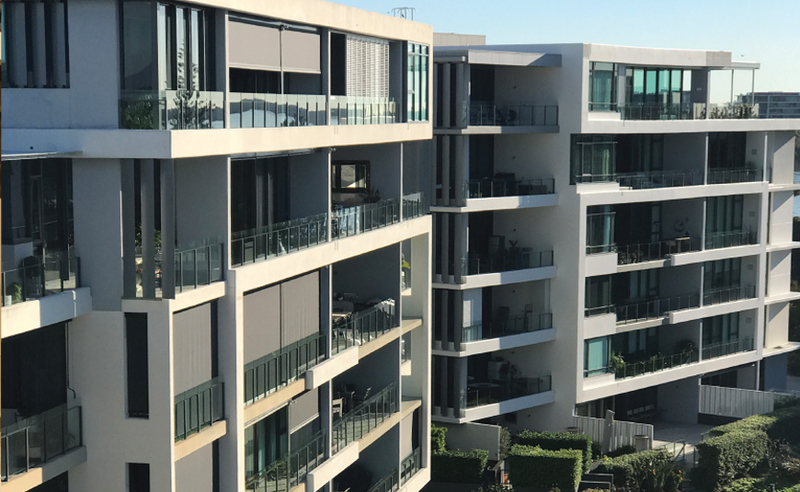 Homes today often have large windows, as well as sliding or bi-fold doors, opening outside to take advantage of the Australian climate and our zest for outdoor living. 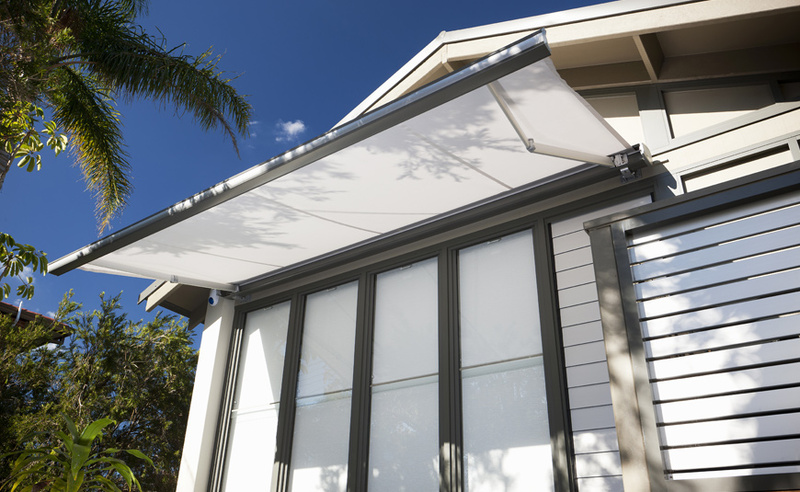 Retractable folding arm awnings extend your outdoor living and entertaining areas. 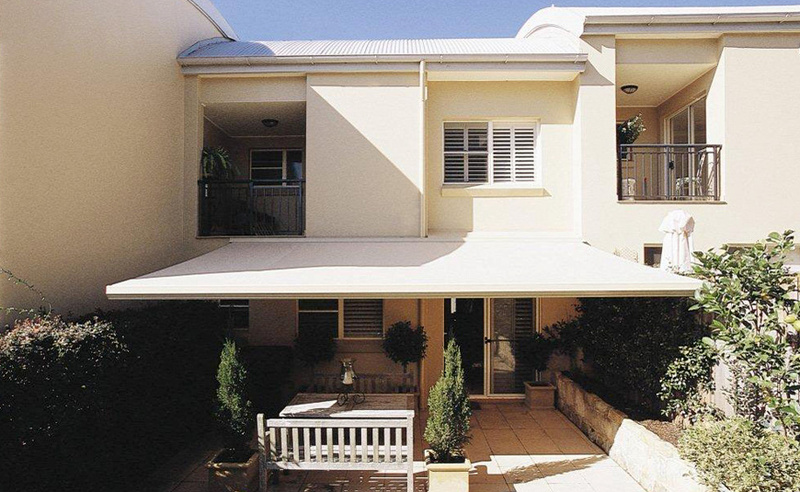 They are designed to complement any external façade and are constructed of high quality aluminium with water and UV resistant fabrics. They can be manually operated or motorised with the option of remote control and sun and wind sensors. For windows and doors there are external screen roller blinds, designed to control the transmission of natural light, heat and sun radiation from the outside while maximising the view from inside. They operate using discrete stainless steel cables or sleek aluminium side channels, and can be manually operated or motorised. External aluminium shutters offer a sleek and subtle line usually associated with internal products. 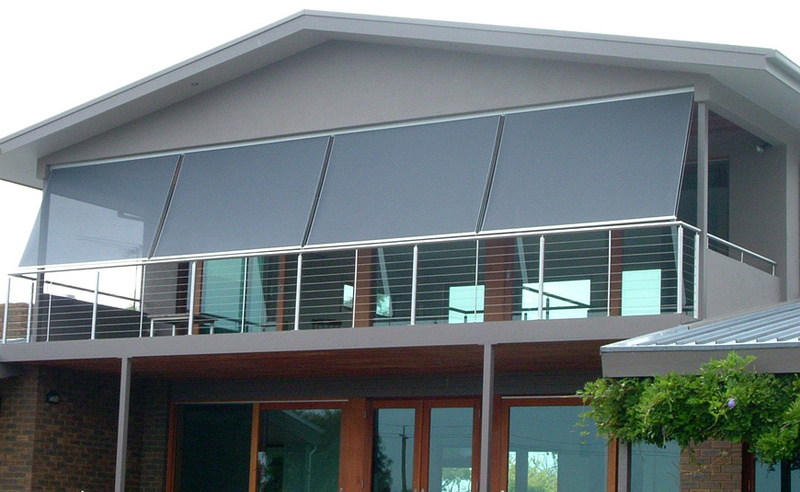 They are ideal as an external window covering or to enclose a patio or deck. 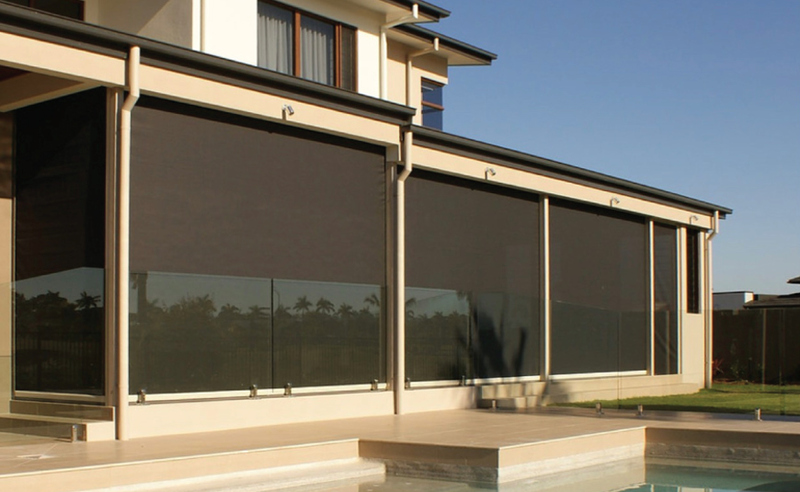 They offer the ability to control sight lines and privacy with the option of fixed, hinged or sliding panels. 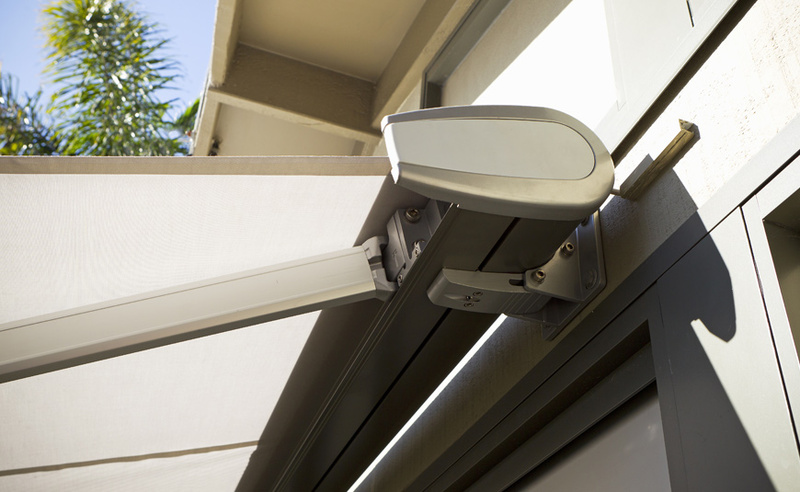 Constructed from marine grade aluminium alloy they offer unsurpassed strength and resistance to rain and sun. Available in timber grain and a variety of powdercoat colours ensures they can integrate with any decor. 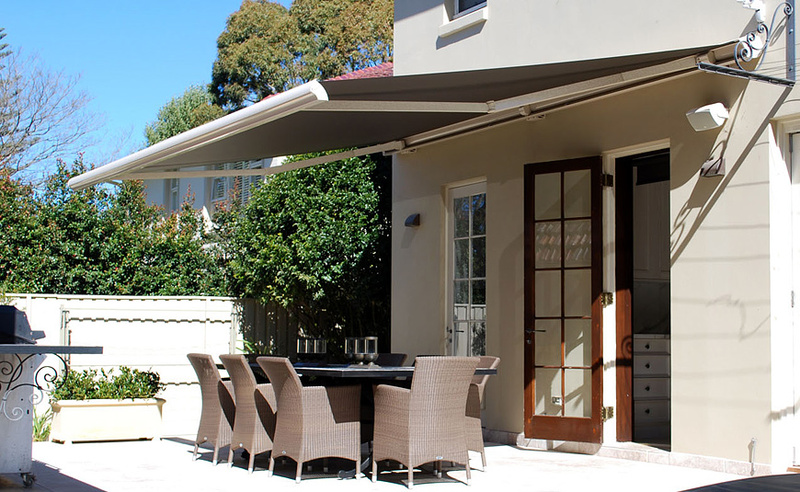 External awnings, blinds and shutters all contribute to energy efficiency, reducing the heat load during the warmer months and reducing heat loss in the cooler months.